Are you managing waste in your building the most efficient way possible? Whether you work in a bank, a healthcare facility, a University or any type of office building, you all have one thing in common: the need to efficiently manage waste and recyclables. Environmental sustainability has become synonymous with corporate responsibility, and disposing of recyclables is a need that all building managers now have to consider. • “Green” standards expected to be executed in that building etc. 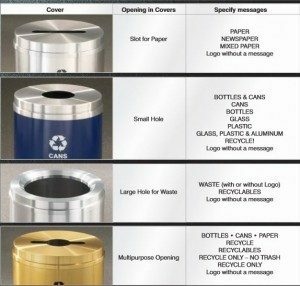 If you have not instituted a recycling program in your building or if you would like to improve your current program, here are eight essential places to place recycling receptacles and stations. Metal recycling receptacles can typically be purchased as individual units (solo units) with a range of openings called “streams.” Each receptacle can be either a single or double stream. Some manufacturers also provide triple stream options so that you can segregate and organize different types of recyclables all in one receptacle, according to local requirements. 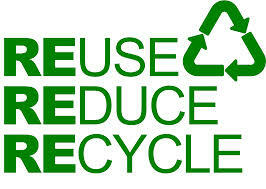 If you have questions and would like assistance in selecting a recycling station, call Glaro Inc. at 1-888-234-1050.